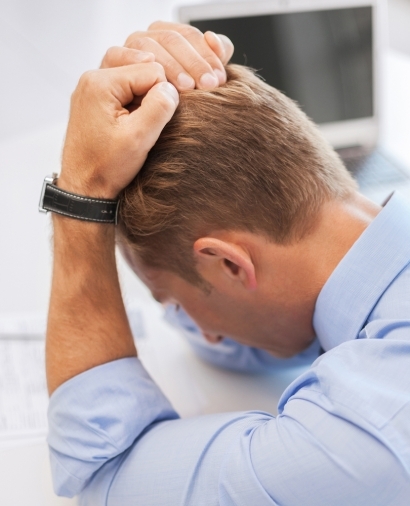 Managing stress levels in the workplace is an ongoing challenge for all of us managers. From a business perspective, we want our employees to be working at their peak performance level in order to achieve maximum productivity. We’re all aware that when staff take time off work it has a negative impact on our business. You may need to employ a temporary worker in the short-term to cover the workload, other staff may be stretched to cover the additional workload or the work may simply start to pile up. By managing stress effectively in the workplace, we can all enjoy increased productivity, reduced stress-related absences and a happier, more motivated workforce! Praise often: It’s a simple but very effective way of reducing stress in the workplace. Praising your staff and recognising their efforts can have a big impact on their morale and productivity levels, however, some managers are much better at putting this into practice than others! By instilling a culture where good work is praised, staff are more likely to feel motivated to continue their hard work and achieve great things. Not only will your business benefit from their increase in productivity, your customers will benefit too. A motivated workforce will work harder to provide excellent customer service and get things done more quickly and seamlessly. Recognising hard work, offering words of encouragement and generally making sure employees feel valued can go a long way towards managing stress levels in the workplace. Adopt flexible working practices: Flexible working is a highly sought after benefit in the workplace. By allowing jobs to be as flexible as possible and consulting your employees on any changes that are likely to impact them before they take place, there is a higher chance they will buy into these changes and feel that their opinions are valued. Use external support where appropriate: To help speed up the process of helping employees on long-term sick leave return to the workplace, some employers choose to enlist the external support of an occupational health service to ensure a smooth transition back to work. Lead by example: Managers should try to promote a healthy lifestyle by managing their working hours, ensuring they take breaks away from their desk and take their annual leave entitlement. Regular communication: Making sure you communicate with staff regularly through informal and formal settings such as appraisals and return to work interviews will help identify staff at risk of suffering from stress at an earlier stage and also which factors are contributing to this stress, which you can then take steps to address. Improved training for managers: Managers need to be trained to recognise potential warning signs of stress and know what steps they need to take to address this. By fostering a supportive culture where achievements are recognised and ensuring managers communicate with members of their team regularly, your business should enjoy a happier, more productive workforce. Clara Ridley is the Divisional Manager for Human Resources at Ascendant Recruitment. To find out about HR opportunities in Milton Keynes and Northamptonshire, call Clara on 01604 439380 or email her.